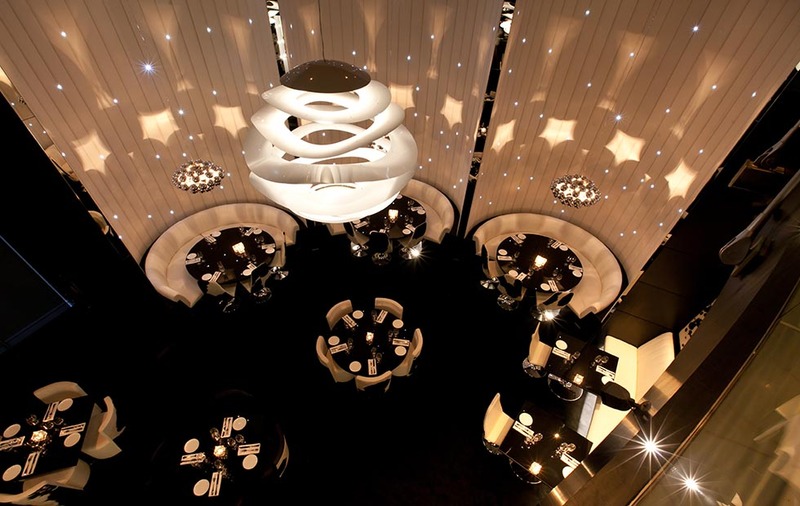 Wonderful Installations of the Beads and Buckle pendants bring subtle reflections and highlights to this high end restaurant in Dubai Dubai, United Arab Emirates, 2013. 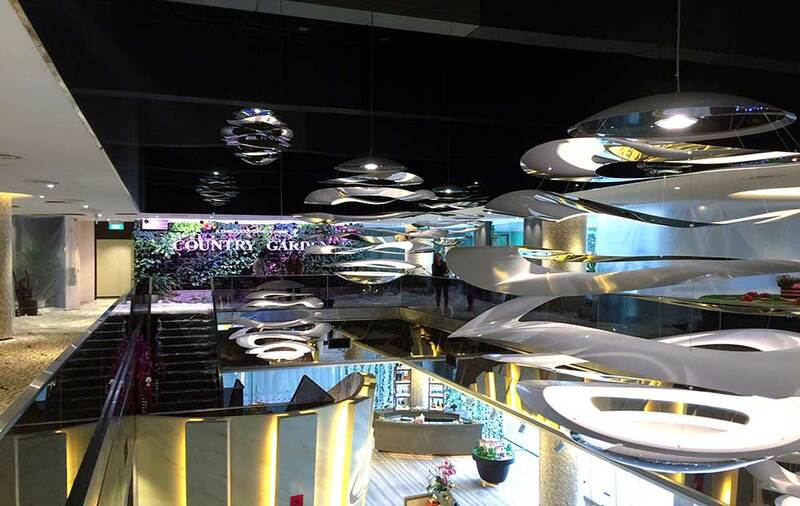 The fluid reflections of a line of Buckle Pendants bring a calming influence to the No1. 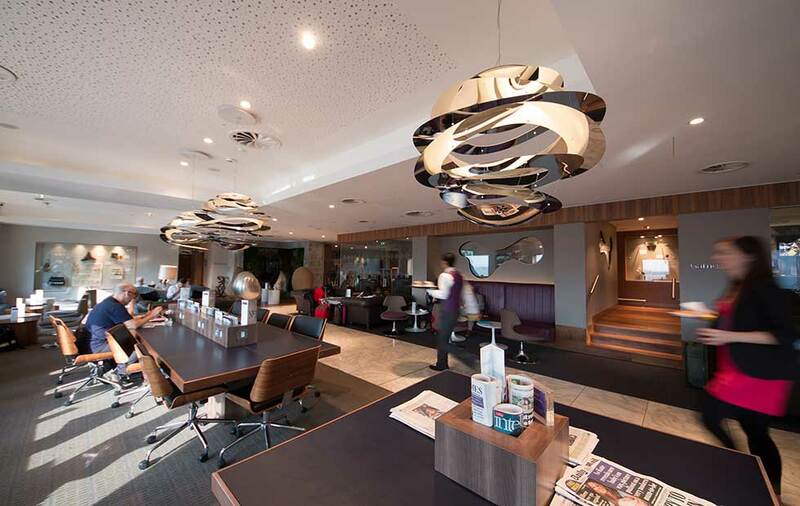 Travellers Lounge at Heathrow. London Heathrow Airport, UK, 2011. 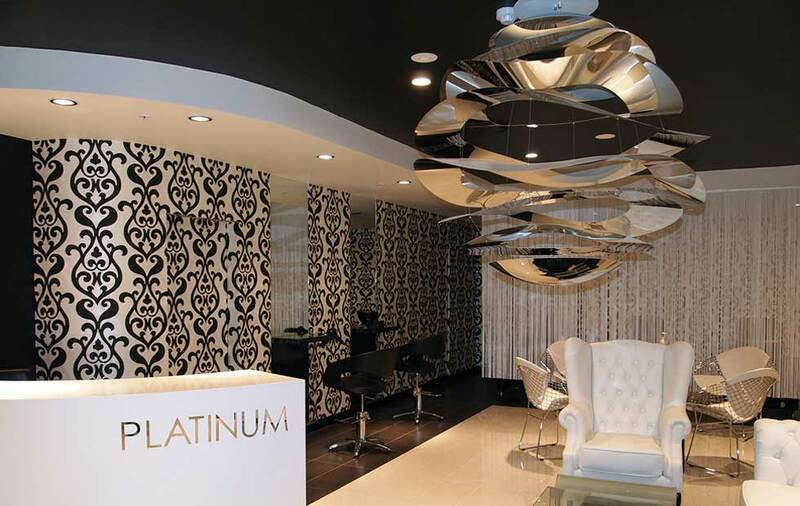 The strong reflections in the Buckle Pendant match the high end reception area of this Australian Hair Salon. Sydney, Australia, 2012. 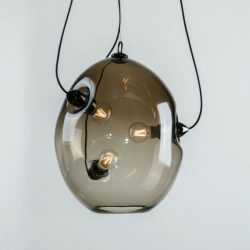 Buckle is a stainless steel pendant light and also an ambient lighting sculpture - it illuminates by bouncing light off its own internal surfaces and provides wonderful background light. 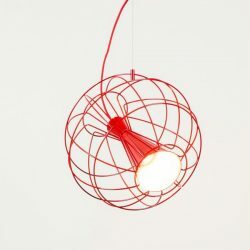 Available in two sizes, it is neither a classic up or down-lighter but produces a unique effect all of its own. 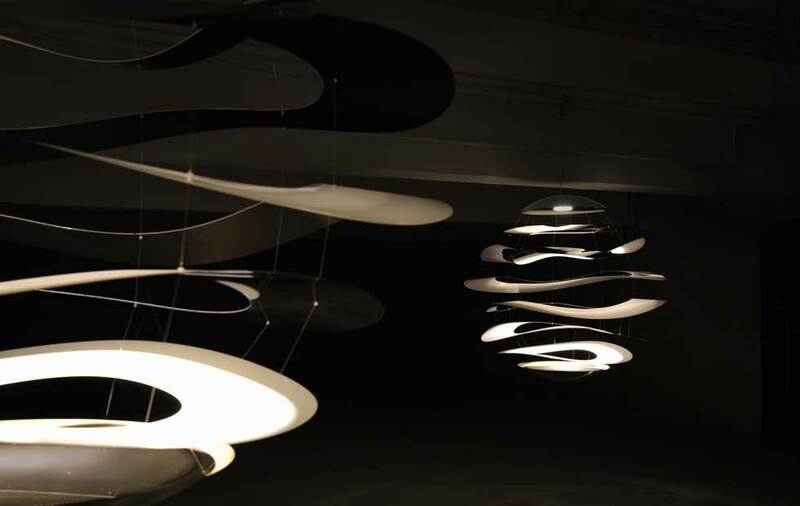 The feeling it creates has often been likened to light bouncing off water. The scale of the product makes it well suited to high atrium spaces and the low power LED unit means it is very low maintenance. 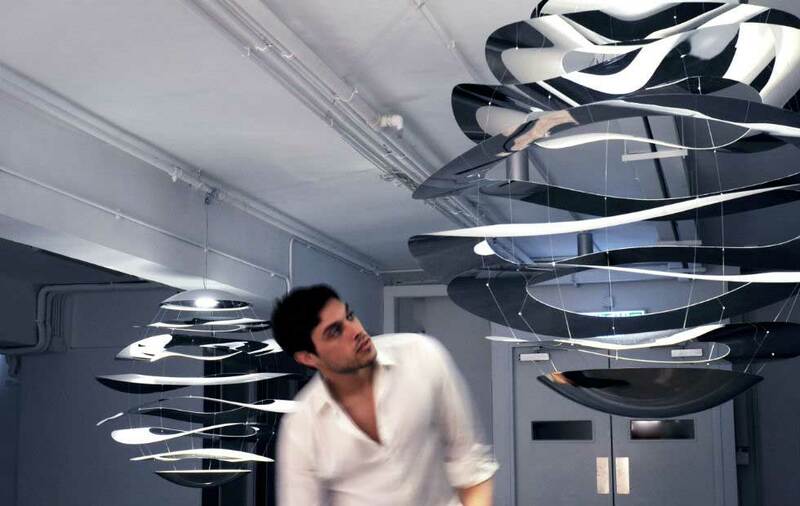 This delicate lighting sculpture makes interesting reflections and highlights for a dramatic contrast and a great feature for any space. 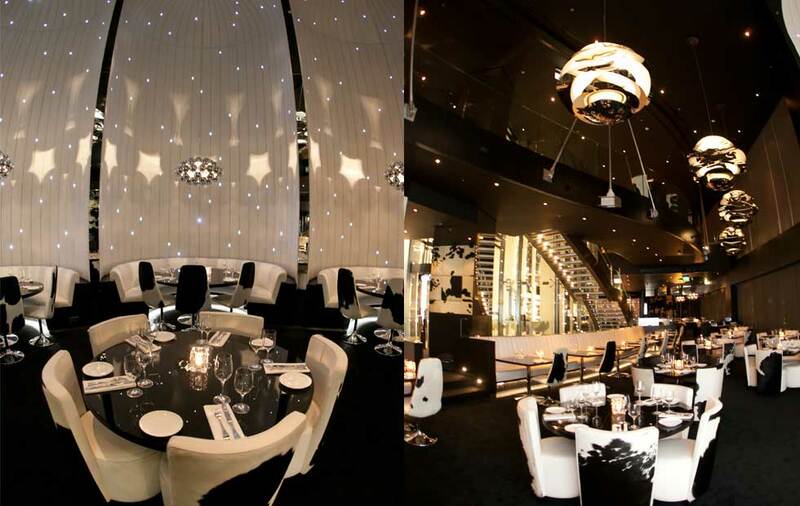 An impressive display of the Buckle was installed at the amazing Gaucho restaurant, Dubai.